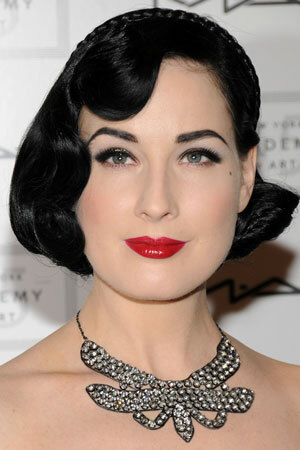 We LOVE Dita Von Teese, the queen of all things vintage (and retro)! Who doesn’t love her?! Her signature pinup style has fans all over the globe falling in love. Despite her age of 43 years young (we can’t believe it either…), Dita Von Teese is still conquering the throne of burlesque dancer and even costume designer nowadays. There are many beauty YouTubers who have made makeup tutorial videos in order to get her look, yet we are still inspired by her personal 1930s one! Of course, it is our favorite era. Here are some of our favorite Dita Von Teese 1930s inspo looks. Do you like Dita Von Teese? Don’t forget to leave us your thoughts below!